By Kurpfalzflieger, March 5 in CumulusX! ich würde gerne wie im Manual von CumulusX! beschrieben ist ein Thermal Script File erstellen. Nur habe ich aktuell keine Idee, wie ich auf die Koordinaten im RAD Format komme, bzw. wie ich gps Koordinaten entsprechend umrechnen kann. Leider habe ich auch keine Beispiel Scripts außer dem in der Anleitung finden können. Gibt es welche ? Ich kann mich noch erinnern, dass ich damals mit FS2000 Thermikflächen nach meinen Vorstellungen erstellt habe. Leider habe ich dazu keinerlei Aufzeichnungen mehr. Ich denke, ich erinnere mich, da konnte man die Koordinaten aus FS2000 auslesen. I'd love to be like in the CumulusX Manual! Described is to create a Thermal Script File. 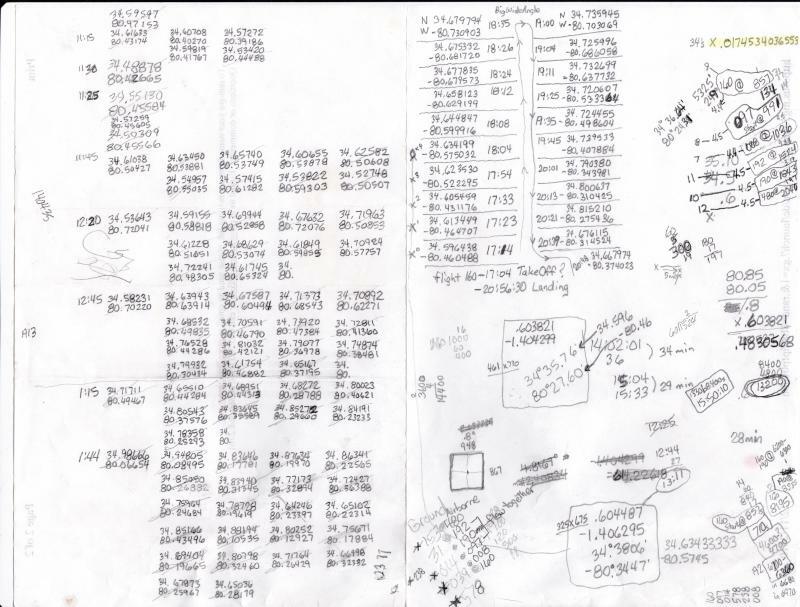 But I currently have no idea how to get the coordinates in RAD format, or how to convert gps coordinates accordingly. Unfortunately, I have also not been able to find any examples of scripts other than the one in the guide. Are there any? I can still remember that at that time I created thermal surfaces with FS2000 according to my ideas. Unfortunately, I no longer have any records of this. I think I remember that you could read the coordinates from FS2000. Sorry so late for a reply. I only speak English, so I needed to translate it above. I think Peter may be around soon, but I'll try to answer at least some of your question. Please give me 1 to 3 days to wipe the dust off of how I used to do it (it has been quite a while so give me some time to reaquaint myself with a script file format). Had a longer search through some files today on multiple PC Hard Drives and found not much to help the situation. As a last resort, I am going to look through some boxes I have in storage here at the house, because I'm 99.9% sure I have saved all the info and also the formula for calculating the coordinates. So all I can say at the moment is just have patience, and time will tell. I may have stumbled across something while just skimming through some files, and found something in a thermiek.doc. It talks about a .bmp file with coordinates listed at all 4 corners. I will have to do some re calculating to see if I can make heads or tails out of it. I'll post more tomorrow to let you know if I got anywhere with it or maybe if I have found my original documentation which would date back to 2011 or 2012 I think. Well, I've exhausted myself today trying to dig into this farther, found part of the documentation I had (so I will attach both below). I may be able to explain what these are tomorrow when I get a chance. Somehow I believe the coordinates correspond to the scale of the map. I'll dig deeper tomorrow. I was unable to get to this for an extended period of time today, the day got real busy, real fast. Tomorrow may be a better day. I have gotten busy this week, and haven't gotten the time to figure this out yet. This coming weekend I may have time to get my head into it again. Seems to me the answer isn't too far off, but I could be wrong. Anyway, I'll report back this weekend. I may be trying to explain a procedure that may not be what you are looking for, as I was at the time covering both FS2004 pilots and FSX pilots flying in the same session together in real time. Die Geographische Länge wird von Greenwich in östlicher Richtung positiv in Grad gemessen.180° (+ oder -) liegen genau gegenüber von Greenwich auf der anderen Seite der Erdkugel. GGG.ggg... = GGG + MM/60 + SS.sss.../3600. Es ist notwendig, viele Dezimalstellen (auch von Pi) zu verwenden, da sonst im globalen Maßstab schnell einige km Fehler entstehen. Die geographische Breite wird vom Äquator (0°) bis zu den Polen (N: +90°, S:-90°) gemessen und hat daher maximal zwei Stellen für die Gradzahl. Im Übrigen ist die Vorgehensweise dieselbe wie bei der geographischen Länge. Hello Peter, I'm translating this into English for my own benefit for future reference when I need it. Wish I would have asked you the same question years and years ago when trying to make a few FunFly/Contests, especially with the one I referenced above which was my first stab at it. At the time somehow I figured it up according to the map scale (I think). Anyway, Thanks for the mathematical formulas, it will be of great value to me. The Geographical Length is measured favorably in Degrees from Greenwich to the east. 180 ° (+ or-) lie just across from Greenwich on the other Side of The Globe. GGG.ggg ... = GGG + MM/60 + SS.sss ... /3600. It is necessary to use many Decimal Points (including Pi), otherwise a few km of Errors will quickly arise on a global Scale. The latitude is measured from the Equator (0 °) to the Poles (N: + 90 °, S:-90 °) and therefore has a maximum of two Digits For the Grade. Moreover, the Procedure is the same as in the geographical Length. ich habe mich zwischenzeitlich mit der Mission Erstellung für Segelflug-Wettbewerbe vergraben. Inzwischen habe ich einen Oldtimer-Wettbewerb und einen für die Clubklasse für den Flugplatz Herrenteich mit Stecken in den Odenwald erstellt. Das funktioniert nun zufriedenstellend da ich dabei bis zu 10 Flugzeuge zur Auswahl stelle und die erreichten Flugzeiten als Log ermittle. Es fehlt mir nur noch die Möglichkeit ein Scoreboard zu füllen. Mit Eurer Erklärung kann ich die Scripterstellung für CumulusX neu angehen und in die Wettbewerbe einbinden.